This article will walk you through the basics of using the quick and advanced search features to find sets of articles you’re interested in so that you can explore the discussions around them or export them to Excel. Altmetric.com embeds allow you to add new social metrics and data to your content with a minimum of fuss and technical effort – all you need to do is add two lines of code to your HTML. We host the altmetrics data that your readers will see, but give you control over their presentation. This article will walk you through the steps involved in getting the altmetrics for an arbitrary set of articles. 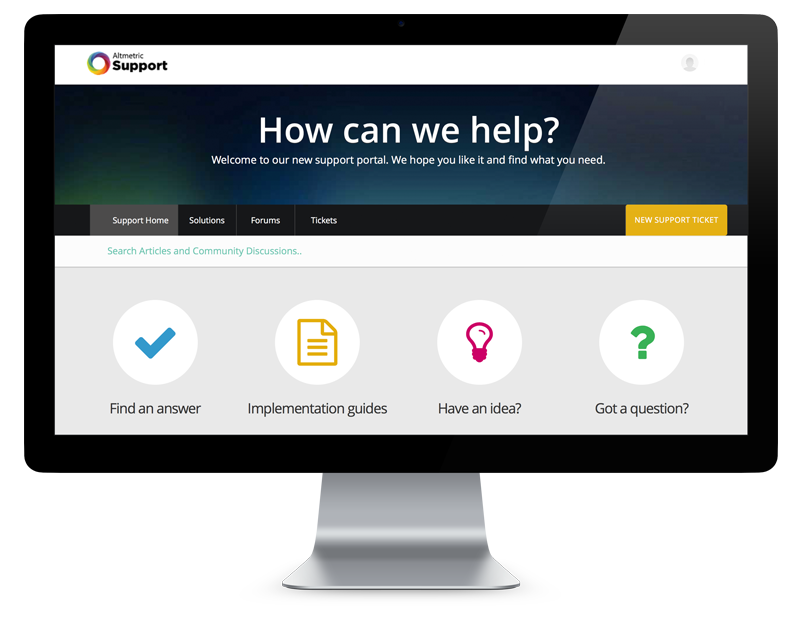 Explorer for Publishers customers can download our implementation documentation via our Support Centre. Here you’ll find everything you need to get started with your implementation, and get up and running on the Explorer. We provide dedicated customer support to get you up and running with your Explorer for Publishers account. This video provides an introduction to the Altmetric badges and explains how we track online attention to research outputs. Download our Explorer for Publishers training materials to re-use in your own sessions and to promote your new tools across your organization. 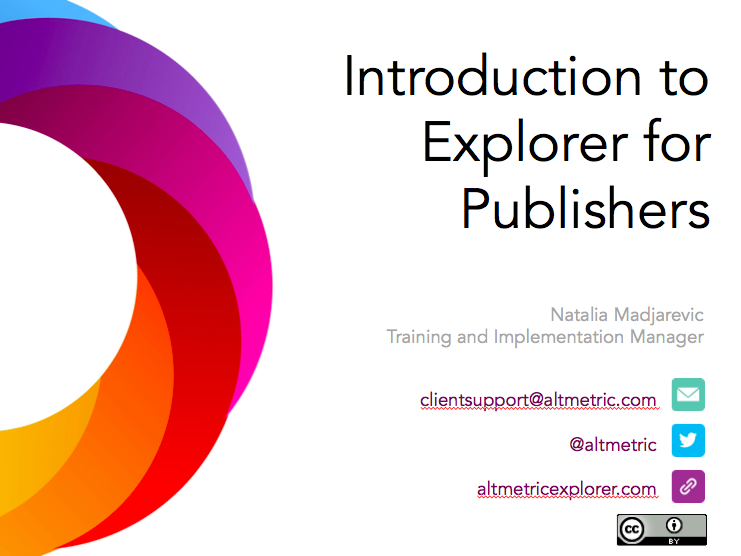 Reusable Explorer for Publishers training session slides with notes and explainers. 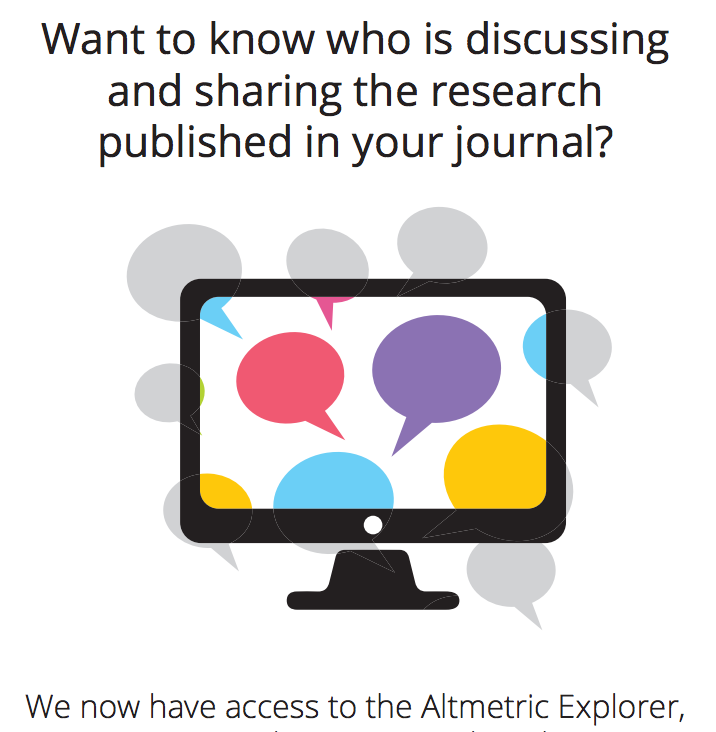 Download our poster to promote your access to Explorer for Publishers. 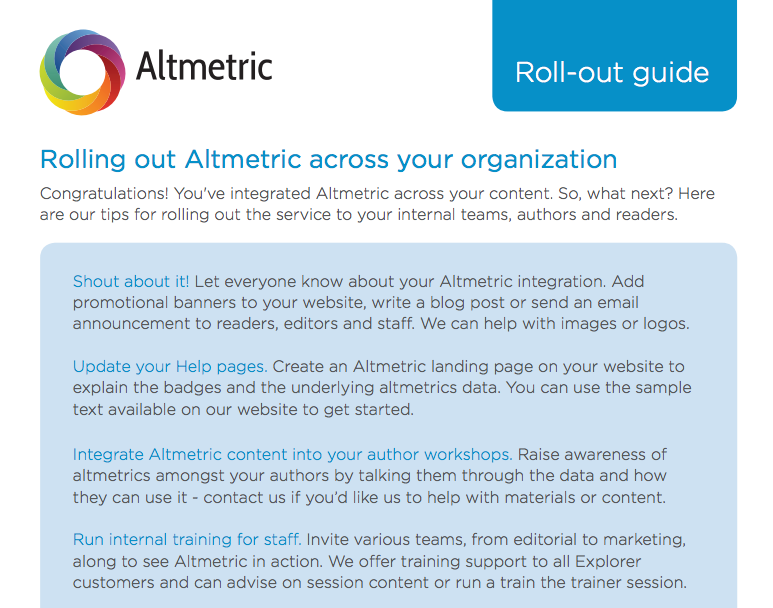 Download our guide to rolling out Altmetric tools across your organization. 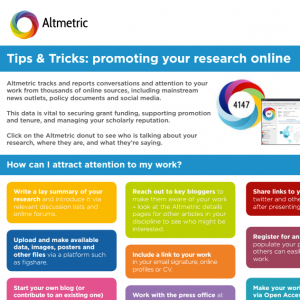 Our researcher flyer shares ideas for promoting research online and making sure Altmetric can pick up on mentions. See our full range of training and promotional materials in our Explorer for Publishers training and promotional materials folder.